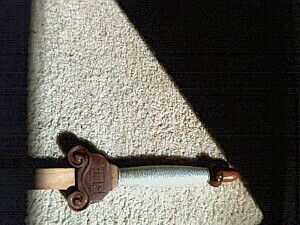 I (Dr. Tom Krapu) do not benefit from the sales of these custom swords. I simply offer this source to the t'ai chi community. 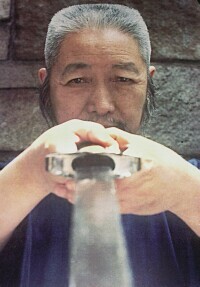 I have known Mr. Laudel for years and have practiced for years with the sword he made for me. It is a joy every time I hold it in my hands. My sword is among the swords pictured below. 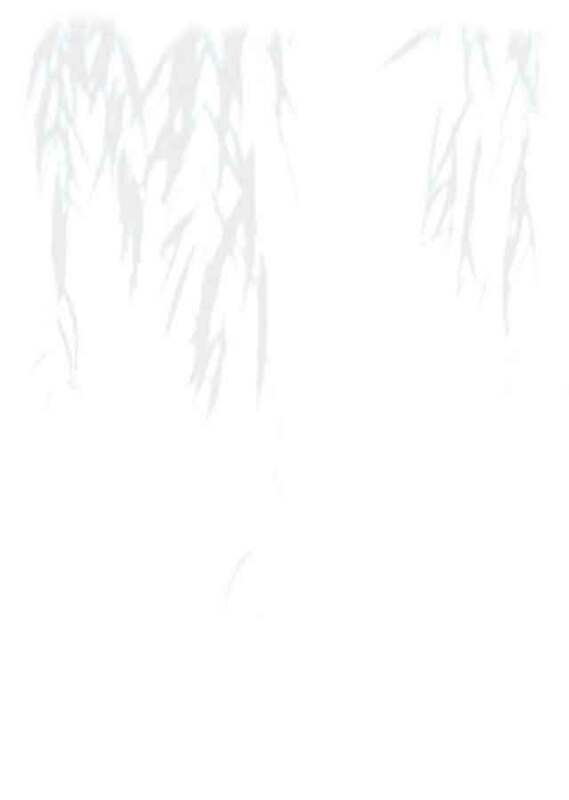 His swords are made from fine woods of many types to achieve the best possible practice and/or fencing sword. For inquiries, contact Mr. Laudel directly. 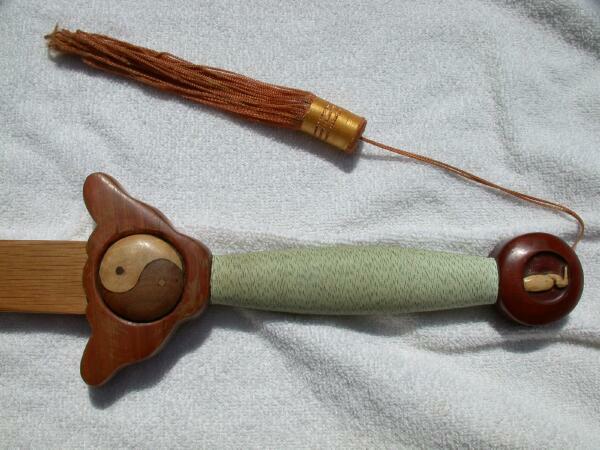 Custom sword specially made for Dr. Tom Krapu, Yin-Yang hilt, Irish linen wrap, Yin Yang hilt, crane pommel. Different levels of customization are available. 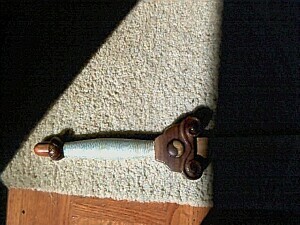 Swords can be customized depending on intended use such as form practice or fencing. Length, weight and balance points can be customized for each individual sword. Discounts are available on orders of three or more customized swords, even with multiple shipping addresses, provided they are composed of the same woods. Contact Mr. Laudel for information about custom sticks, staffs and archery equipment. 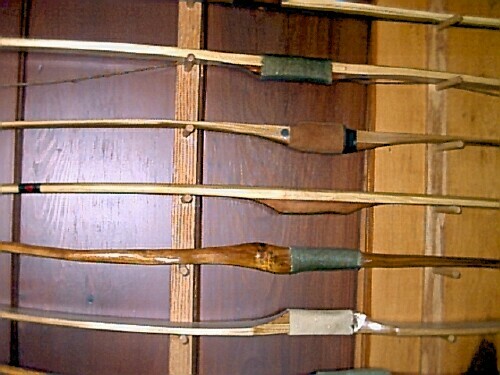 Click HERE to view a sample of archery bows.